An original work on American cities and the ongoing "urban crisis". Using the metaphor of the socially constructed organization of space, Bartlett takes a broad view of the evolution of urban America, from its historical roots to the present; he then examines the way in which current policies have responded to, and affected the organization of space (covering housing, transportation, government and other urban problems). He concludes with a look to the future of American cities, how they will impact and be impacted on by changing commercial and labor markets, by the problems of poverty and cultural change. In an epilogue, he explores possible ways to overcome the "social dilemmas", while recognizing the difficulty of this undertaking. 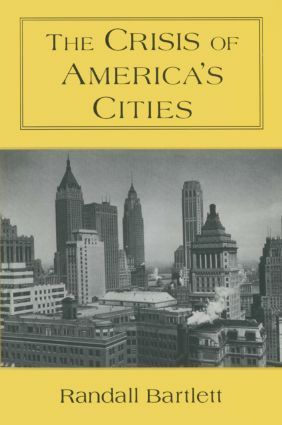 A thoroughly unique perspective to the study of cities, this book is about how space is used in America and how it changes as the "logic of location" evolves historically. Starting with the assumption that cities are fundamentally unnatural" phenomena, it unravels the interactions of technological advances that have made them possible and policies that have given them shape. More than half a decade has passed since Gorbachev launched his "prerestroika" programme to reform the Soviet Union, but the struggle between reformers and conservatives continues to rage while the final outcome, and even the goals of the programme, remains a mystery. Whatever the outcome of this transformation, its impact will reverberate well beyond the borders of the USSR to shape US security and commercial policies into the next century. This edited volume brings together original essays by US-Soviet relations scholars and international business and security experts to explore the many complex and critical issues that the United States must confront in developing its commercial and security policies for the next decade.